Photo courtesy of the Office of Councilmember Dwight Boykins. 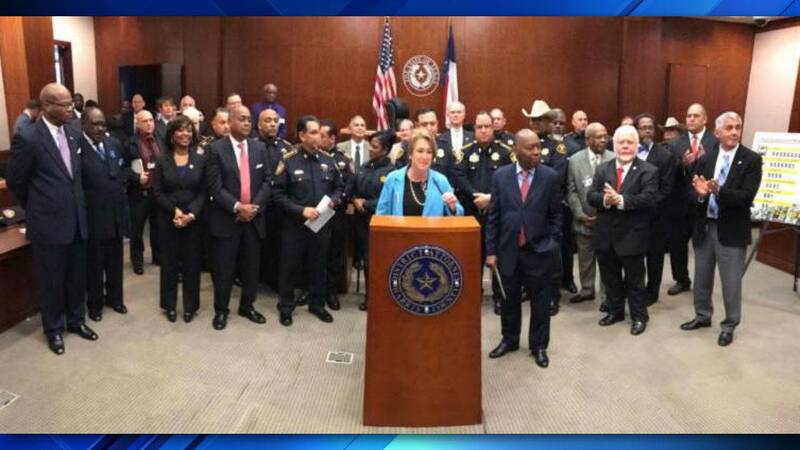 HOUSTON - District Attorney Kim Ogg unveiled her new Misdemeanor Marijuana Diversion program on Thursday, the office of Council member Dwight Boykins said. Boykins created his annual 2nd Chance Job Fair in 2013 to create a bridge between those who are ready and in need of a second chance and companies who are willing to hire them. Officials said Thursday's announcement was a major step taken to continue assisting programs throughout the city. 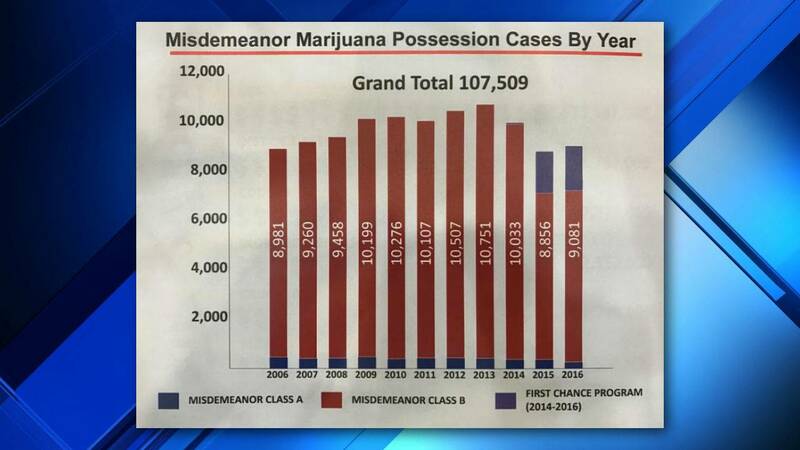 "Although the use of marijuana is illegal in the state of Texas, this is not a crime that is a major threat to public safety, and the district attorney has come up with a solution to spend taxpayers' money responsibly," Boykins' said. 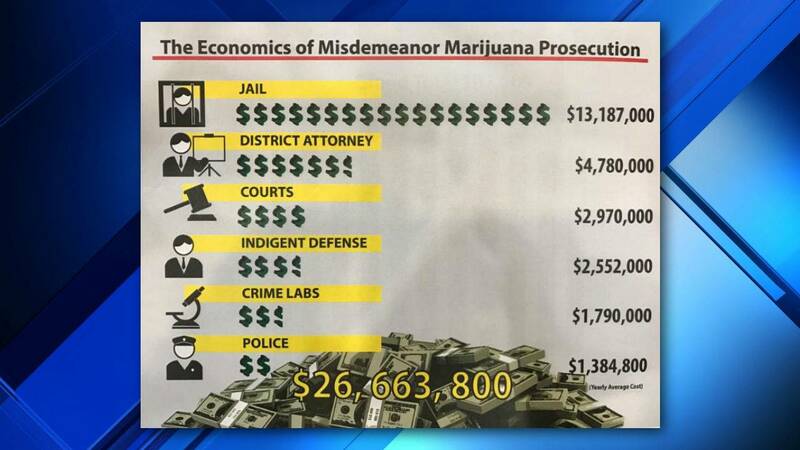 "The goal of this program is to ensure that the resources needed for court and jail are being used to effectively increase public safety and acknowledge that those in possession of misdemeanor amounts of marijuana are not stigmatized by criminal records that limit their employment, education and housing opportunities." Officials said those who are caught with a misdemeanor amount of marijuana and qualify for the program will be offered an opportunity to take a cognitive thinking course, which will cost $150 within a 90-day time frame. It will also offer no jail time and no criminal record of the event. The program ties in with Boykins' 2nd Chance program, officials said. "Council member Boykins will remain persistent in his mission of advocating for those in need of a second chance," Boykins' office said. "He is currently working with the Greater Houston Partnership to work with large companies in an effort to ban the box and give those in need of a second chance the opportunity to explain their past while moving on with their future." Officials said Ogg's program will not only decrease the number of people with a misdemeanor on their record, but it will make it easier for people to make it through the application process. Information courtesy of the office of council member Dwight Boykins. "Council member Boykins would like to commend District Attorney Ogg for standing up for those who are at a disadvantage and her commitment to giving people a second chance," Boykins' office said.